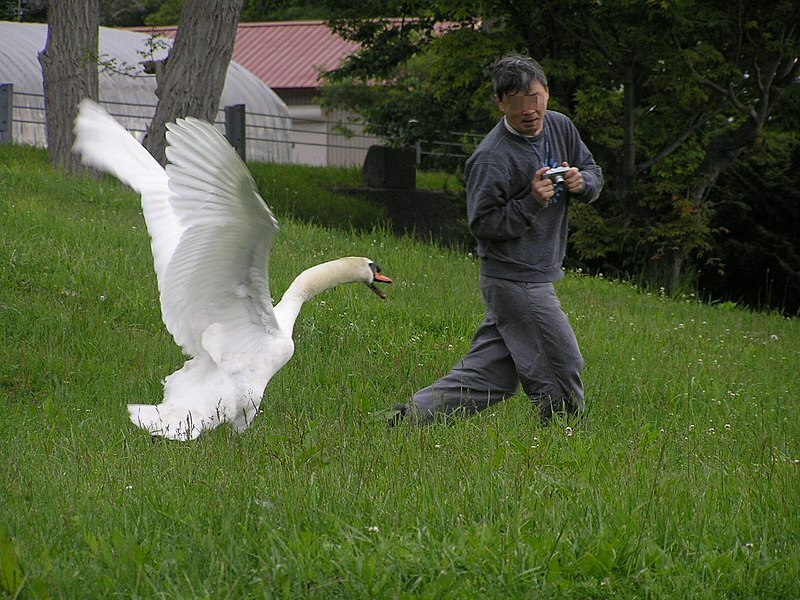 Swans: Don't mess with them. Source: Wikipedia, Japan. 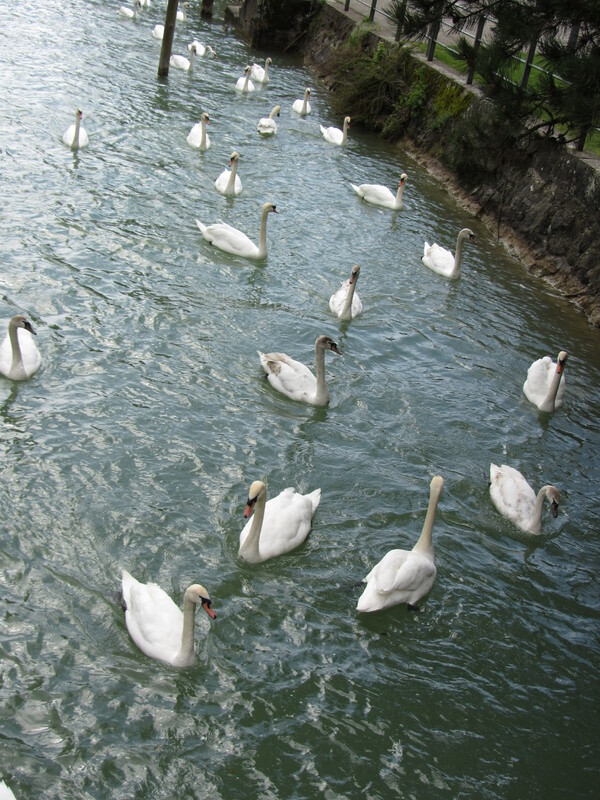 Friday was windy, sending Lac Biel swans up the town’s canals in search of calmer waters. They move almost in formation, pushing up against the current sometimes in a straight line, then ride the current back to the canal mouth into Lac Biel where they turn around and start the loop all over again. In Canada, we read much about staying away from waterfowl lest we disturb them to the point where they fail to reproduce or thrive, but I’ve always suspected that loons, ducks, geese and all the like are more resilient than that. 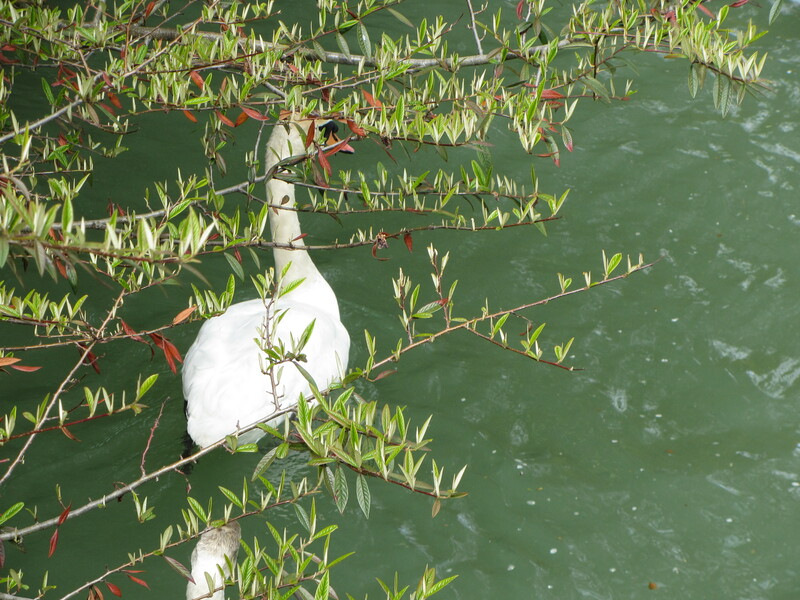 Switzerland’s swans bear out my hypothesis. 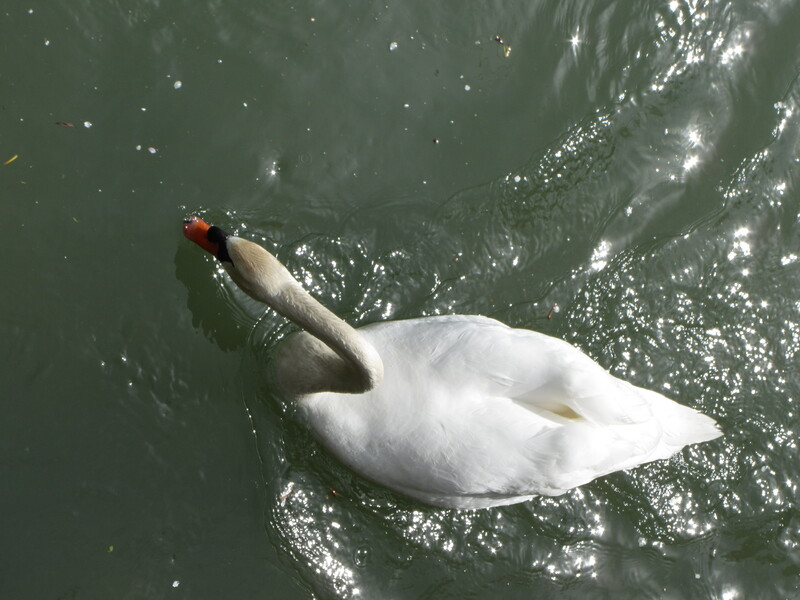 As I made my wind-whipped walk by the canal, the only pedestrian in sight, the swans took note of me walking high above on the canal’s banks, broke off their formation and proceeded to swim alongside me, poking their bills in my direction in the same manner my labrador retrievers used to nose my hand for treats. Orderly Republican swans to the right, more Democrat "Frank Sinatra 'I Did It My Way" swans to the left. Had I already learned of the U.S. man’s swan-induced drowning, the theme track to the movie “Jaws” would have run in my head, but I was blithely unaware of the dangerous flock that followed me. In that way, it as though I am living in a Hitchcock horror movie. When I lingered over a canal bridge, they gathered round as though readying for choir. I had no food and while swan’s faces do not appear configured to convey disapproval, I couldn’t help but get the feeling that I had let them down. I’ve never seen swans up close until we came here. I always thought they were graceful elegant creatures, but up-close they are a lot like people. There’s always one in a crowd who bullies his way about, stabbing and tearing at other swans to get to the front of the flock. Occasionally, we’ll spy one who for some reason the flock just do not like. That sad swan lingers at the fringes, pecked and pursued every time she tries to drift in to the heart of the flock. Others hang around in the thick, but they still guard their little circle of surf with an air of menace. Nonetheless, they are lovely to look at, fun to watch as they try to take off in flight (it takes a long time, they are heavy birds) and despite the dreaded news of the man’s drowning, gather around people like puppies here in our little town. * I was once sent flying out of my lounge chair when a loon spiked up out of the water right next to my head, triggering me to make noises that Dave said was what he imagined a person might make while being attacked by a bear. Most read post: Paris Food – Can you eat lambs kidney without having to sell your own has once again climbed to the top after being briefly usurped by Luscious Lucerne, which has dropped to third place, nudged out by Switzerland’s Toronto. 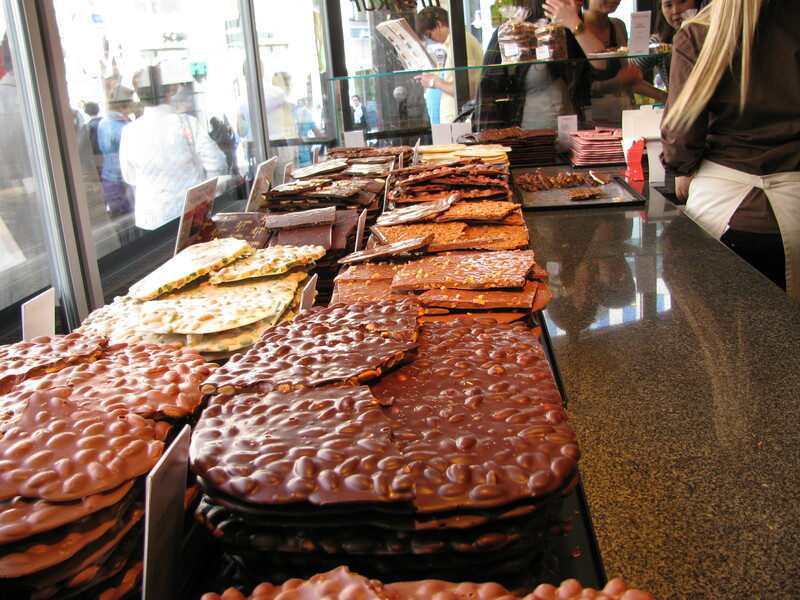 I cannot explain any of this, except that perhaps I under-rated the world’s interest in Parisian food. Most active time of day on this blog: 3 p.m. Yes, he got close and his feathers were up. I have no idea what that means. 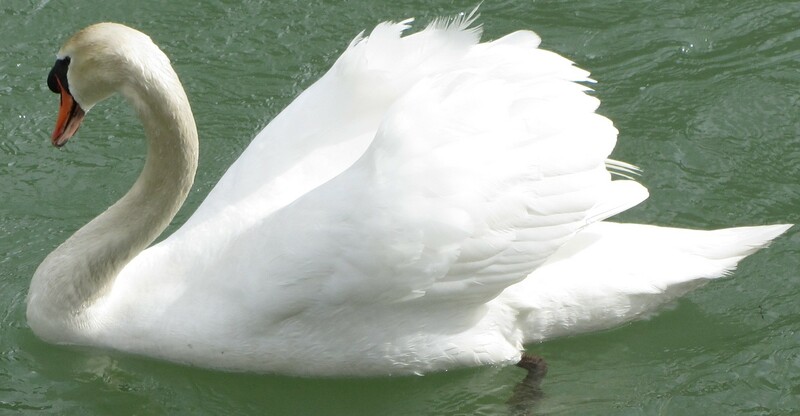 Swans are beautiful no matter how you look at them. 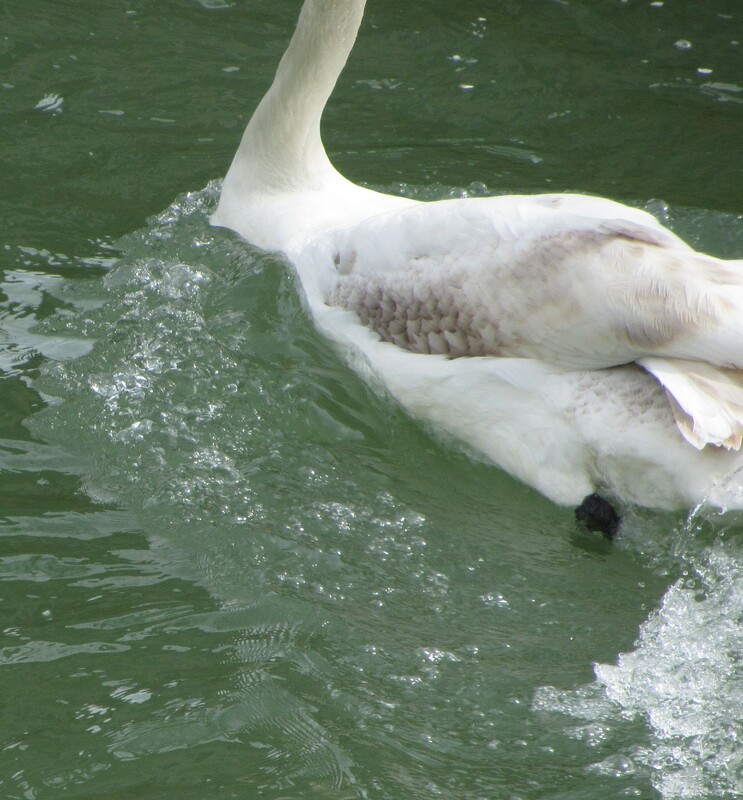 Fascinating only to me, possibly, but this is how much churn one swan kicked up on his start to avoid a bully-swan.